Midfielder known for being a member of Chelsea FC from a young age. 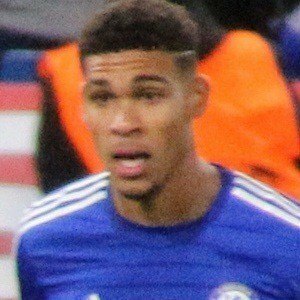 He won an FA Youth Cup and the Under-21 Premier League in 2013-2014, which led to his debut with big league club at the end of 2014. He started playing with Chelsea when he was eight-years-old. He made his international debut in 2011 with the U-16 English team. As one of the few homegrown talents in Chelsea's pipeline, his early senior career drew comparisons to John Terry. He has two half brothers, Carl and Leon Cort, who both spent time playing in the Premier League. Although he initially made his debut for Jose Mourinho, the embattled, since-fired Chelsea coach was criticized in his handling of the young talent.